Hi! It's a second time I got some gifts from born pretty store, and I have to say I love it! Quality of the items is surprisingly good and they are indeed so cute! This time I picked this super cute pink iPhone 4 case. The colour is so pretty, like bubble gum pink, it fits the phone perfectly, and it is so incredibly soft, that makes me wanna hold it in my hand all the time! 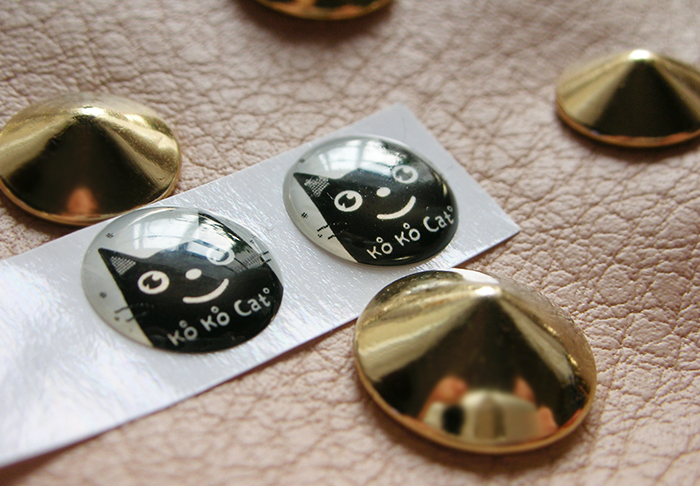 These cute home button stickers came with the case too! I also got this twist bangle bracelet. Quality is really nice, and this kind of bracelets goes along with any outfit! Love it! I have to say I really like this online store! If you'd like to order something from born pretty store, use my code CML91 to get 10% discount! I know where I'm going shopping! Everything is great. I really want the bangle. What are you taking the pictures on by the way? Is it a bag? Because if it is, I need it. 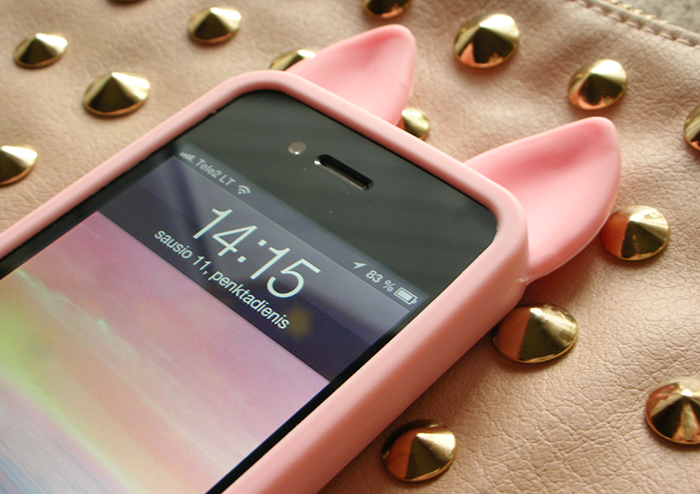 cute case! I really like your blog btw! Great bracelet. I like the twist. your blog is pretty cool! Whats about following eachother?? 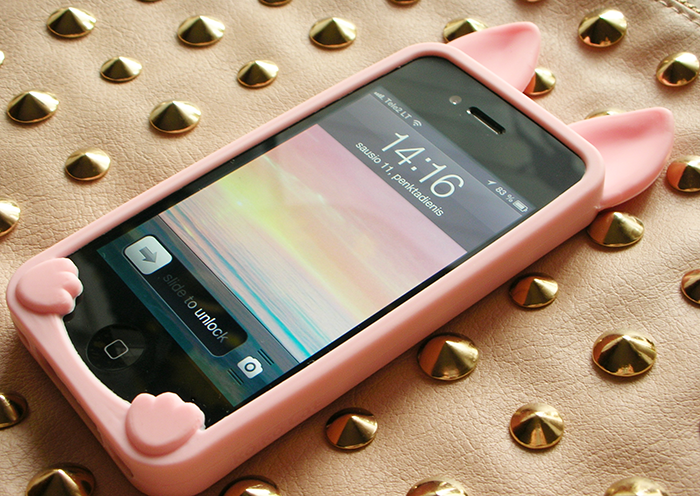 The iphone case is so adorable! 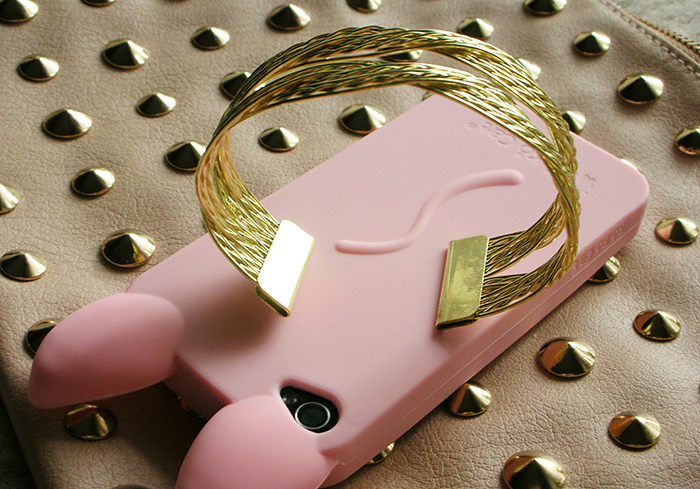 Such a cute iPhone and bracelet. I really have to browse through that store now! thanks for the seriously nice comment on my blog! your blog is amazingly cute! I am a self-taught makeup artist and upcoming YouTuber, I have a beauty blog featuring product reviews, looks I have created and how to, picture tutorials and so on. Would love for you to check out my blog and even follow if you like! The Iphone case is so cute! Thanks for your comements! I follow you!! SO CUUUUUTE!WOULD YOU LOVE TO FOLLOW EACH OTHER ON GFC AND FB? se puder segue a gente tb? Thanks for your kind comment on my blog darling! I really like yours too!! Would you like to follow each other?? BTW nice and cute goodies!! That bracelet is very beautiful. Woow what a beautiful blog. I will follow you, hope you do the same. 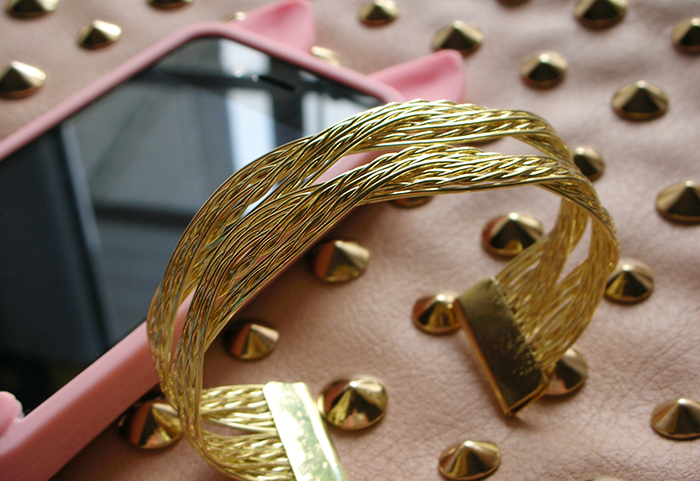 The bangle is sooo cute yet elegant. Do visit me. I love your blog.